It seems that everywhere you look, people have become infatuated with group spin classes. Workout connoisseurs have deemed this method of exercise to be especially motivating and inspiring–it’s become a lifestyle. So it’s no surprise that a new home for the musical spin class experience came to Montclair last year. 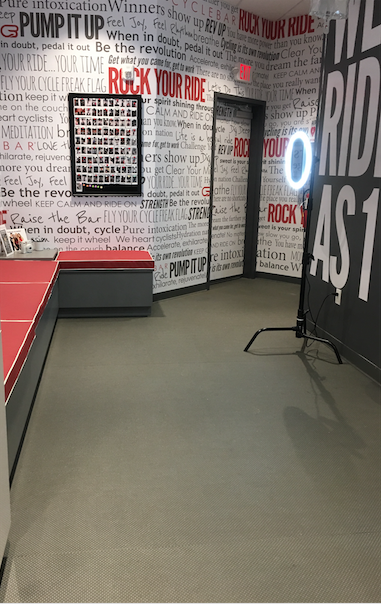 In the heart of town, CycleBar opened its doors at 656 Bloomfield Ave. There, Macelon D’sa, the franchise manager, has brought a new form of group spinning to clients hoping to continue those New Year’s Resolutions into the summer. The Montclair Dispatch spoke with Macelon about what makes CycleBar a special place to loosen up and work off that extra energy, while, most importantly, having fun. Macelon looks to make sure that CycleBar riders are having a different kind of workout experience. CycleBar has a wide range of members, from parents to students, and everyone in between. We spoke with an avid CycleBar class attendee, Addie Temkin (Montclair High School ‘18), who explained why CycleBar has brought in such a large group of eager cyclists since touching down in Montclair. I had the pleasure of attending a CycleBar class and I would recommend that everyone give it a try (your first class is free)! There is high energy throughout the entire 45-minute class, and the instructors will leave you smiling–and sweaty. And no worries if you are a spinning newbie; the instructors help to adjust your bike to ensure a comfortable ride. It’s easy to get stuck in an exercise rut or become frustrated with the everyday gym. But with enthusiastic coaches (aka CycleStar Instructors) and invigorating classes set to energized soundtracks, CycleBar could be the extra motivation you need to get out and workout. If you are interested in signing up for a CycleBar class, click here.